Love 'em or hate 'em, the New England Patriots beat the Los Angeles Rams 13-3 in Super Bowl LIII, tying the Pittsburgh Steelers for the most Super Bowl championships with six wins. It was the lowest final score in game history, causing most of Monday morning's office chatter to focus on the ads, musical performances, and controversies — Rihanna, Jay Z, and Cardi B all reportedly turned down offers to perform at the halftime show and Twitter hashtag, #ImWithKap, was trending all night in solidarity with Colin Kaepernick. 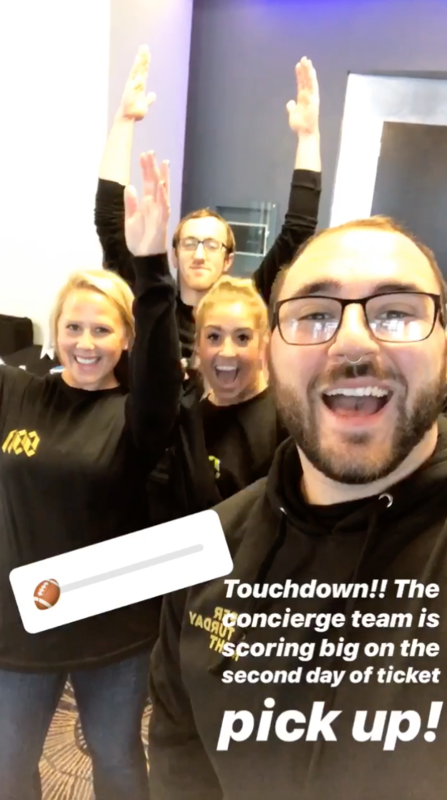 However, for the Concierge.com team and 9,000 music fans, Super Bowl Sunday was a day to recover from the *real* main event, DIRECTV's Super Saturday Night. 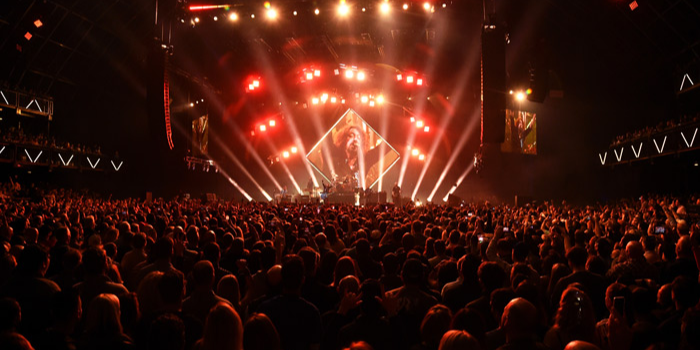 Foo Fighters headlined the night along with an impressive list of support including Run The Jewels, Roger Taylor of Queen, and country superstar Zac Brown. A 72,000-square-foot Atlanta venue was transformed into the ultimate party place by Jack Murphy, the CEO of JEM Management, and the man who brought us into the project (Thanks Jack!). This is his 13th year working with DIRECTV and the ninth year he's produced Super Saturday Night. Simply put, Jack is the man! Construction on the space took 45 days and continued through Saturday morning, finally opening as a gleaming, three-story palace constructed of steel, aluminum, and wood with a 72x56-foot stage. The awesome design of the event was inspired by the San Fernando Jackalopes, a fictional 1970s high school football team Foo Fighters band members portrayed in a promo video for the concert in January. Black and gold lockers displayed the hashtag for the event, #SuperSaturdayNight, as well as branding for the band and DIRECTV. Keeping with the high school football game theme, a photo op invited attendees to pose on bleachers with posters cheering on the fictional team. 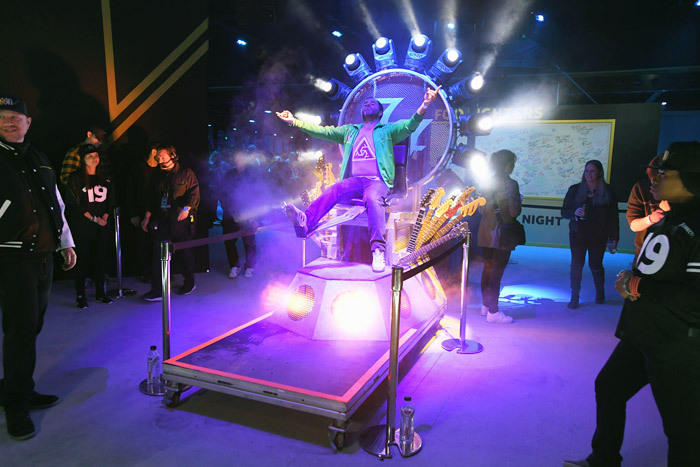 Guests could also channel their inner rock stars by posing for photos on Dave Grohl’s infamous guitar throne, which rocked the iconic Foo Fighters logo. 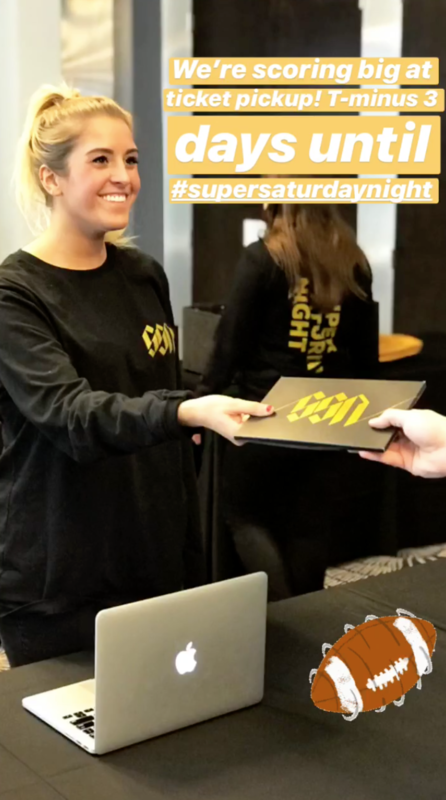 Pre-event, the Concierge.com design and product teams worked hand-in-hand to create a custom registration process for Super Saturday Night's VIP guests. The tricky thing on this project is the super compressed timeline. Since the teams that go to the Super Bowl aren't determined until two weeks before the big game, the final guest list is assembled right up until the last minute. Our software platform deployed the exclusive invites on a daily basis and provided real-time stats on who would be attending. Meanwhile, our client services team (actual humans!) utilized the platform to manage the multiple guest groups, dynamically update information, and provide ongoing communication to guests. On-site, our elite concierge team carefully assembled VIP guest packets containing each guest's credentials based on their Concierge.com guest group. There were more than 40 different groups and different types of VIP attendees, all getting a customized, personalized experience. Finally, our team cleaned themselves up and greeted guests at the DIRECTV welcome suite to distribute credentials, then set up shop at the venue on Saturday night for late arrivals. While it was a hectic weekend for us, Super Saturday Night was an unforgettable, once-in-a-lifetime, money-can't-buy experience for every guest in attendance! "It’s quite simply rare to find partners who get it. You and your team just do. Resilient. Dedicated. Hard working - and all with a constant eye on the prize - and you all seem to do it with a genuine collective smile throughout. There is no [Super Saturday Night] without you and your team." And Roger Hyde, SVP of Advertising and Creative Services for AT&T said "I am humbled to work with a team of such engaging, enthusiastic, passionate and incredibly motivated and highly talented individuals who won’t rest until everything is not only perfect - but several steps beyond! [Super Saturday Night] was the culmination of so many years of learning that permitted us to raise the bar on whatever we had done before. 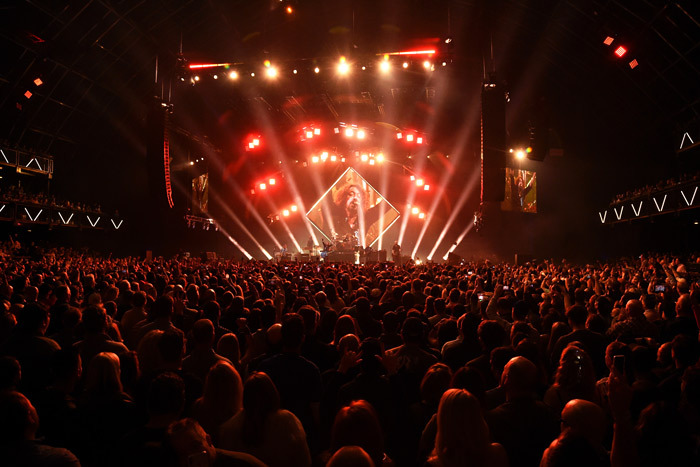 And we did it without any politics, egos or agendas, while delivering on the best audience experience possible." The event was created as a VIP experience for all 9,000 guests, including the dozens of celebrities in attendance. We spotted Aaron Rodgers, Dak Prescott, Emily Ratajkowski, Jon Hamm, Keegan-Michael Key, Mark Cuban, Michael Strahan, Nina Dobrev, Paul Rudd, Peyton Manning, Ron Livingston, Sarah Hyland, Vanessa Hudgens, and Zachary Levi in the crowd, among many other A-listers. We loved working on this project and are already buzzing about next year, and if we're being honest, rolling our eyes at the thought of The Patriots making it back again, too.